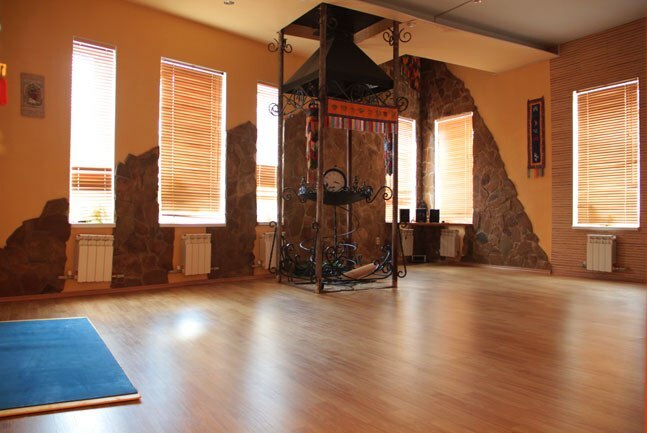 Training is held in a unique place – ecocenter “Miraya” which is perfect for practice of yoga and other traditional systems. There are all necessary facilities to make study process convenient: 5 equipped halls for practice, locker rooms, shower units, a tea house and a shop. Yoga Therapy Clinic and Miraya Publishing House are also situated here. Ecocenter “Miraya” is located in the centre of Nizhniy Novgorod not far from the Kremlin, between two largest bus interchanges – Minin and Gorky squares. Owing to this the citizens can easily reach the ecocenter almost from all parts of the city as well as numerous students from other cities have no difficulty in finding the way from Nizhny Novgorod railway station. 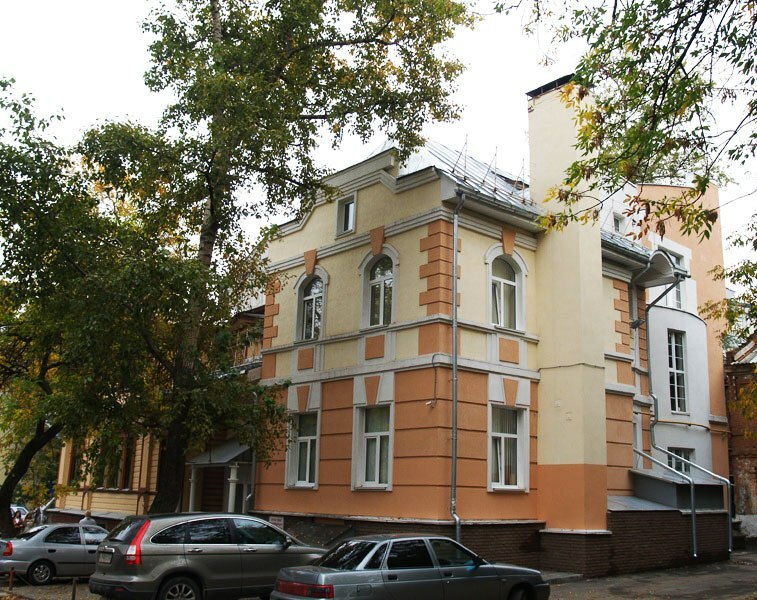 In spite of closeness to traffic junctions, Alexeevskaya street where the center is situated is quiet and urban noise doesn’t disturb students during classes. Anyway, the moment you come in the center you’ll dip into the atmosphere of harmony and heartwarming comfort, so you’ll easily forget about not only street noise but all your problems and concerns. There are 5 halls specially designed for traditional health system practice. Every hall has an original interior style and atmosphere. 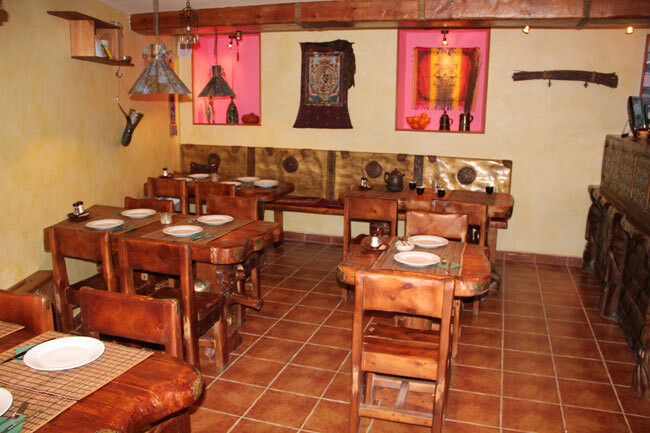 All halls are done up in natural materials – wood, bamboo, cork. There are yoga maths in every hall. 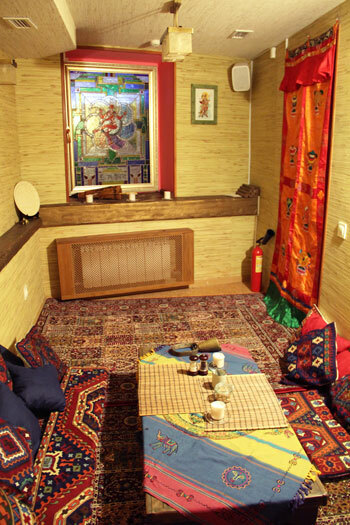 Hall “Tara” in Tibetan style accommodates 8-10 persons. 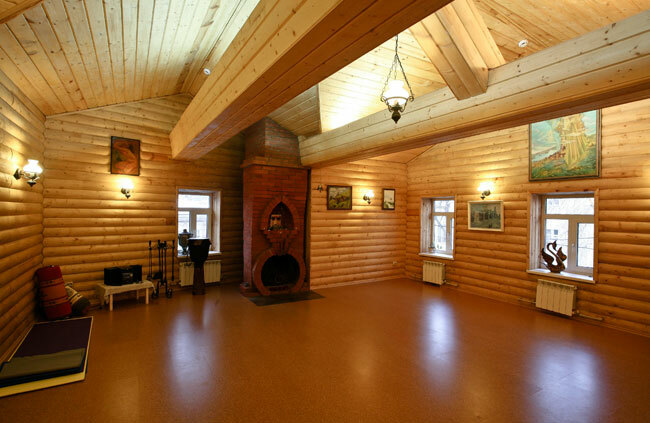 Hall “Veles” is designed in Russian log tower-chamber style. It accommodates 15-17 persons. Wood trimming, warm colours, antique lamps with soft, subdued lighting create atmosphere of home comfort and warmth. 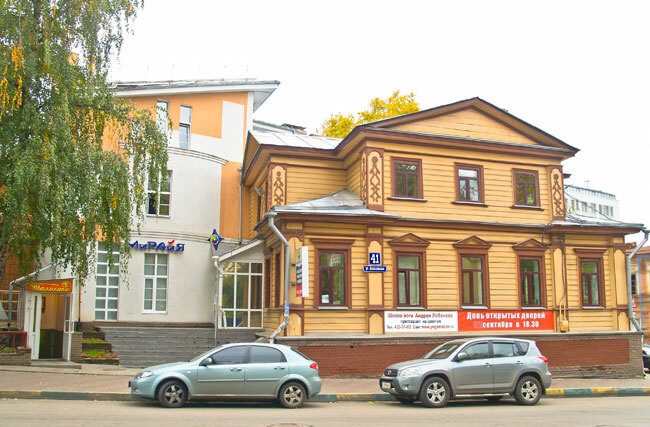 Pictures of famous painters of Nizhny Novgorod are exhibited in this hall. 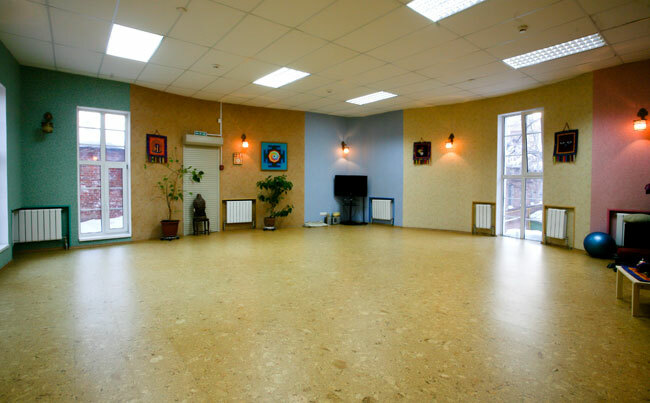 Spacious “Bodhi” and “Shiva” halls have original round form. They accommodate up to 25 persons. 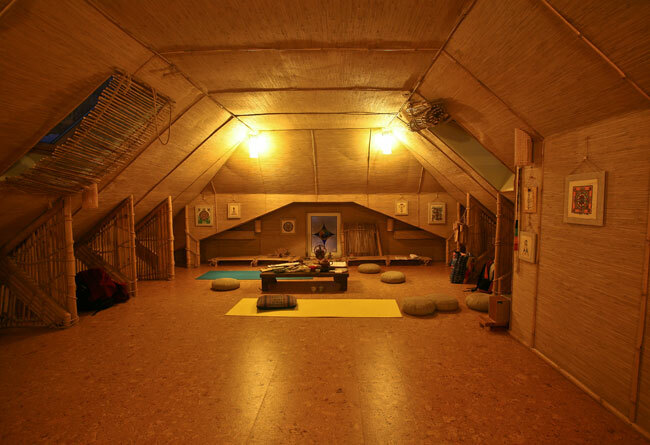 “Rudra” hall on the third floor trimmed with bamboo and natural wallpaper is designed for meditation and individual training. This hall accommodates 8-10 persons. Yoga Therapy Clinic occupies 4 rooms, where manual and massage therapy, reflexology, hirudotherapy and psychotherapy specialists work. 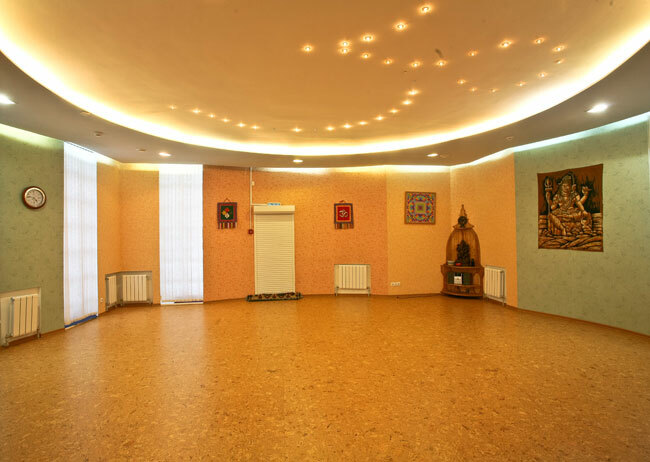 Tibetan singing bowls sound therapy which is a unique treatment method is held in a room with special acoustics, lighting and aroma design. Miraya Tea Space is a free space for everyone who appreciates good company, interesting people, uncommon events and, of course, fine tea of various sorts brought from countries with a developed tea culture – China, India, Japan, Nepal and Russia. Beside best sorts of tea, the menu includes fresh juices and oriental delight. Tea ceremonies introducing various tea traditions, lectures, movies and meetings are held in this space. Here students of the academy can relax and have a chat and a cup of good tea during breaks between their classes. 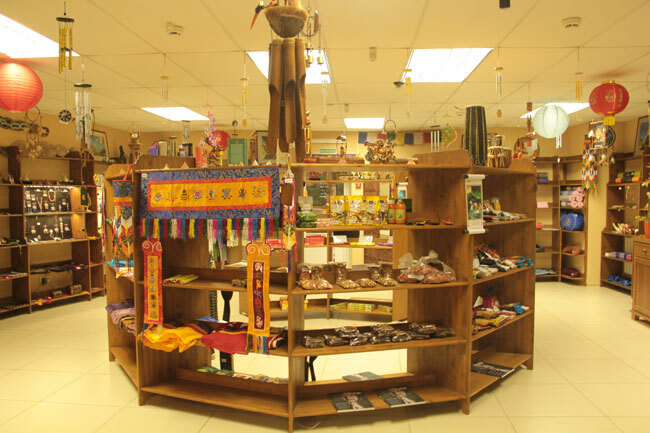 In our shop you can find everything you need for yoga and Chi Kung practice: maths, clothes, music, training aids, beads, books, Indian and Tibetan natural incense. There is a lot of high quality tea of various sorts, wide range of healthy food products, natural ayurvedic cosmetic, ethnic jewellery with natural stones, souvenirs and original handmade works. 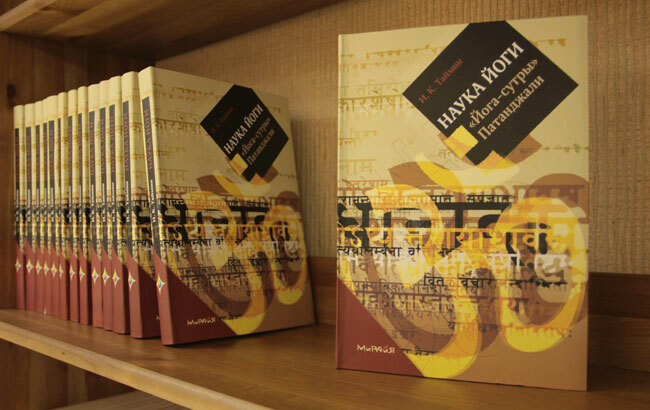 Miraya Publishing House prepares for edition books,methodical materials and textbooks on traditional systems of health care and human development. Publishing original training aids worked out by Andrey Lobanov to summarize and systematize his great experience. These editions represent a reliable source of knowledge not only for the academy students but for teachers and practitioners throughout Russia and Russian-speaking audience all over the world. Translation and publication training aids and books on alternative medicines authored by competent Indian and Chinese specialists.